This 1833 Greek Revival in Covington, Georgia, is believed to have been the original inspiration for Twelve Oaks in Margaret Mitchell’s classic novel Gone With the Wind. GWTW fans are excited because the house is on the market for $1.4 million (maybe a few of us could go in on it together?). It sits on nearly 4 acres and has 8 bedrooms and 6 baths. The Houses and Filming Locations from the Movie "The Notebook"
Awesome, awesome post Julia! Wish I could afford that place, whoa. It was so nice having you at the “ball”. These film houses are a lot of fun to see! This is all amazing what you let us see! .-= Greet´s last blog ..Open doors at Garnier Antiques =-. Great post – loved the comparisons between the relatively modest size of the rooms in the actual home, and the grand rooms on set. I am embarrassed to admit that I do not know where Covington is, although I have heard of it…need to go learn my Georgia geography. .-= Things That Inspire´s last blog ..A Touch of Tuscan =-. This is great. I have to wonder, though, why aren’t there dining chairs in the dining room? .-= songbirdtiff´s last blog ..Happy Happy Joy Joy! =-. 1.4 million for all that, seems like a bargain. Would make a beautiful B&B. .-= Suzy´s last blog ..Mums the Word…… =-. That’s really interesting! I actually just checked out the book from the library. I’m excited to read the real deal. Although, now I want to watch the movie again :). .-= AnNicole@OurSuburbanCottage´s last blog ..Laboring on Labor Day…With Paint…On Sale =-. This was so much fun! I love looking at old houses and it was interesting to see the comparisons. I wonder which would go for more $. The inspiration house or the sets that made up the movie if they were available and for sale?! Have a great time at the ball! What a fantastic comparison…I just loved seeing the two side by side…but I much prefer the Hollywood staircase, it’s magnificent. .-= Sandi´s last blog ..Decisions, Decisions =-. Wonderful post! A classic and unforgettable film. .-= Jorgelina´s last blog ..Un clasico. =-. Long time reader first time commenter. I work in the real estate industry and I love looking at houses. I love this particular feature that you do from time to time. 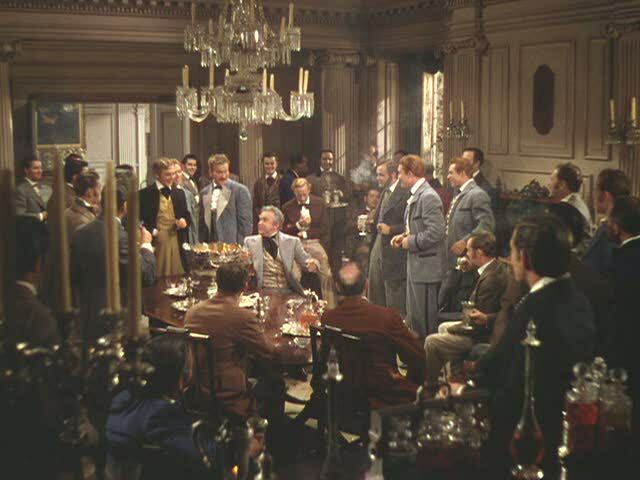 I think I know what I’ll be doing this Labor Day…taking out my DVD of GWTW and watching it yet again. Thanks for a great post and a great blog! Beautiful real house. Thanks for researching these for us. I saw part of a movie this weekend with a beautiful house if you need ideas. It was One True Thing with Meryl Streep & Renee Zellwegger – the house is gorgeous. .-= duchess´s last blog ..It’s Kick-off Time =-. Thank you for the wonderful tour of Twelve Oaks! I will take more time later to look at your blog! This is such a fun ball, thanks to Nikki! .-= rue´s last blog ..Gone with the Wind… =-. 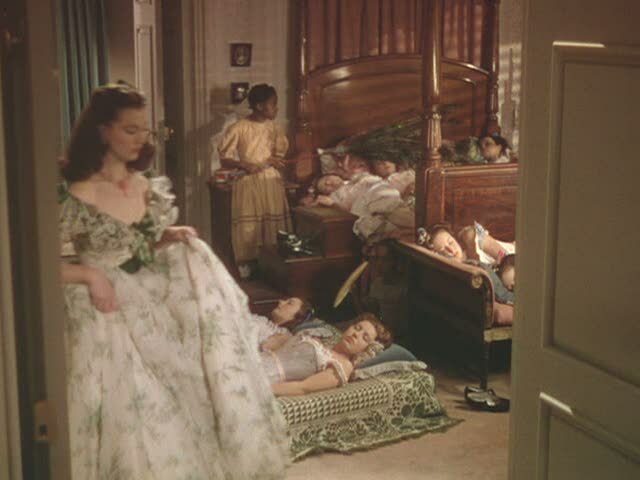 .-= beansieleigh´s last blog ..Gone With The Wind Blogland Ball! =-. How dreamy! I would so love to live in a home like that. Crazy! .-= Liz´s last blog ..Gone With The Wind …A Book Review and a Party! =-. .-= Amanda @ Serenity Now´s last blog ..Nightmare on Caroline Street: Worst. Wedding Toast. Ever. =-. .-= Kelly´s last blog ..1893 Queen Anne, Arlington, IA =-. Hello Julia~I soo love your tribute to GWTW today. Yes, let’s you, Nikki, Rue, and me get together and just scoop up that yummy Twelve Oaks plantation before someone else does!!! Beautiful pics. 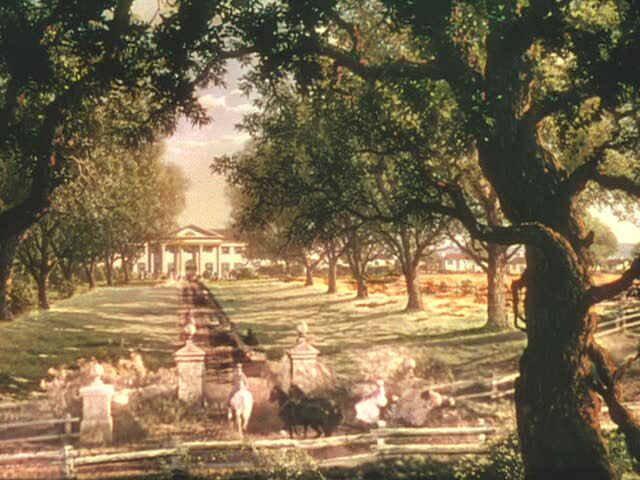 I have always admired your GWTW post that features Tara, Twelve Oaks, and Aunt Pittypat’s homes and linked to it on my post today. The architecture was indeed amazing, wasn’t it?! Now I’ve got to look at your link to the listing of the real house that inspired Twelve Oaks!! .-= Stephanie´s last blog ..GONE WITH THE WIND Ball Blog Party! =-. This is very interesting, I enjoyed it a lot! Thanks for sharing! 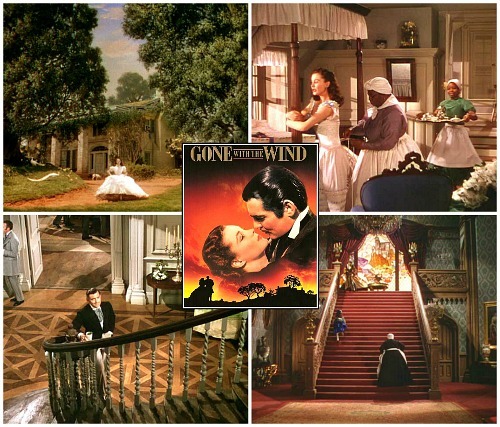 .-= Katherine´s last blog ..Gone With the Wind 70th Anniversary! =-. Wow! I love this post, as well as, the previous ones on Gone With The Wind and The Notebook. Beautiful! We like a lot of the same things about the movie. I really enjoyed this-Thanks for sharing! .-= Tiffany´s last blog ..The Gone With The Wind Ball! =-. Hey, I’ve got a couple bucks to spare – I want in, too! Looks like there would be plenty of room for all of us 🙂 Thanks for the great post. 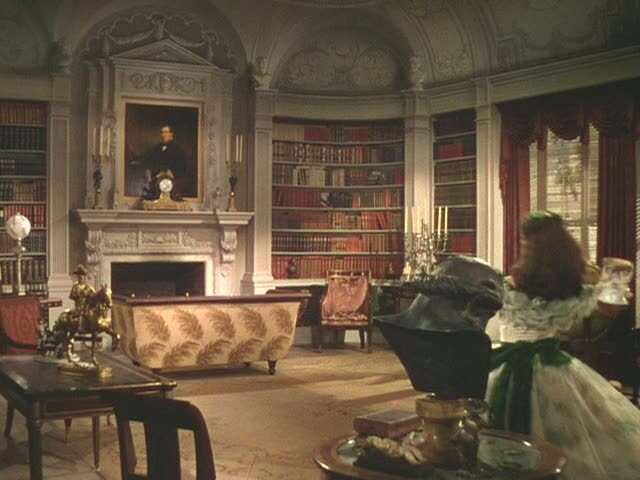 GWTW is my favorite book of all time, after tthe Bible. Even better than the movie. Always a pleasure to read a GWTW posting! How interesting that everything in the house was made grander for the movie. The real home looks much more manageable to actually live in. .-= Struggler´s last blog ..Land of Hope and Glory =-. I LOVE Gone with the wind! I want that house so bad! It’s funny b/c I live in NY and a 1.4 million dollar house is so small compared to that!! It is beautiful and looks well maintained! .-= Jen @ After The Alter´s last blog ..We Have A Winner! Eden Fantasys Giveaway! =-. I hate to use the words “bargain” and “$1.4 million” in the same sentence…but it kinda seems like it is, no? .-= Laura @ the shore house´s last blog ..The savvy shopper. =-. I forgot to mention, here is the house that it is reported the woman who inspired Melanie in Gone with the Wind once lived here. .-= Kelly´s last blog ..1888 Victorian, Charleston, WV =-. Is this REALLY Twelve Oaks from GWTW??? Or is this just a replica or the house they BASED is on? Does anyone know if there are any plans for Tara, showing the floor plans, & the dimensions & such stuff. I would like to make a model. This has been very interesting. I was just telling my daughter all about your site and she was shocked that I had not checked on the “Gone With The Wind” houses, as it is my favorite movie. I have several books all about anything pertaining to Margaret Mitchell and her amazing book. Well, it was so much fun to see this about the house in Covington! I drive by it all the time when I am heading south and want to go the back way! It is still for sale and, yes, I do “dream”! 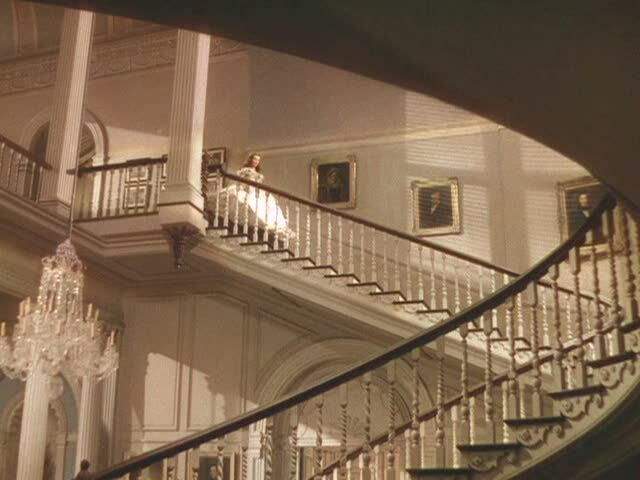 Also, I have heard for years that the fabulous staircase in the house Rhett built for Scarlett in Atlanta was inspired by the one in “The Hotel Jefferson” in Richmond, Virginia. I don’t know it it is true, but I purposely went to see that hotel and it certainly is very similar! Whitehall is a lovely antebellum estate that has been all but destroyed by either its prior owners or by the bank that repossessed it or both. The bank likely did not winterize the house after it was repossessed as there is quite a bit of water damage to both ceilings and hardwood floors and possibly a black mold problem as well. If the hardwood flooring is original to replace it will involve paying for all pieces of antique flooring (assuming any can be found) to be x-rayed which is not an inexpensive process. Apparently the water was shut off and that pipe was fixed but when the water gets turned back on there is a likelihood of the rest of the piping bursting under pressure if indeed the problem was caused by a frozen pipe. If so, I assume the whole house will need to be re-piped and with 6 bathrooms that will be pricey. The kitchen, though updated is also without all major appliances. The bank will not let anyone inside the house before buying it, which makes it look like there is a lot to hide. The previous owners had also been updating the house with can lighting as well as adding the wraparound decking and modernizing the yard – not that you can tell anymore the place has been neglected so long and the pool is now a frog pond. Possibly the house is in such bad shape that it is a total loss – black mold, dry rot, structural damage – who knows what is wrong? Further the bank is requiring monies be payed up front (you can’t make an offer without paying earnest money and you can’t order an inspection without that payment – which is highly unusual). Furthermore this money is not to be held by your Realtor but directly payed to the bank so that if an offer falls through you cannot easily get your money back. My Realtor said “Run Away!”. I know this is an old article but it is wonderful to let my son search the web on his ancestors home. 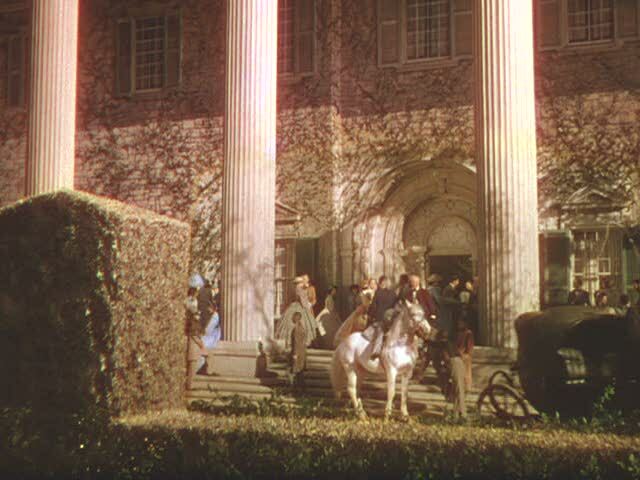 It is true that Whitehall was the inspiration for Twelve Oaks in Gone With The Wind but also the inspiration for Margaret Mitchell as it has been stated by many generations of my family. Lovely article and lovely pictures of this beautiful Greek Revival.